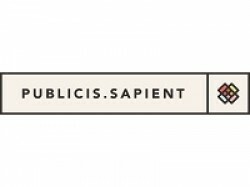 Publicis.Sapient is the first purpose-built digital transformation platform designed to help clients reimagine value creation, through radical customer centricity. We combine digital solutions expertise together with our creative, technology and energy industry insight to drive growth, improve customer experience and operating efficiency in today’s digital world. We work at the speed and agility of the changing marketplace. We’ve created an approach that’s agile and responsive, open to other partners that can add value and enabled by our global delivery model. We move quickly from idea to prototype to pilot to deliver sustainable outcomes, collaboratively. With over 20 years’ experience within the UK and European Energy and Commodity markets, we additionally provide integrated delivery of strategy, technology, visualisation and solutions for Energy Trading and Risk Management operations.